So you are thinking of popping the BIG question but are worrying that your plans won’t live up to her expectations? Are you stuck for ideas? Or short of time and you are struggling to execute your plans in secret!? Well help is at hand! 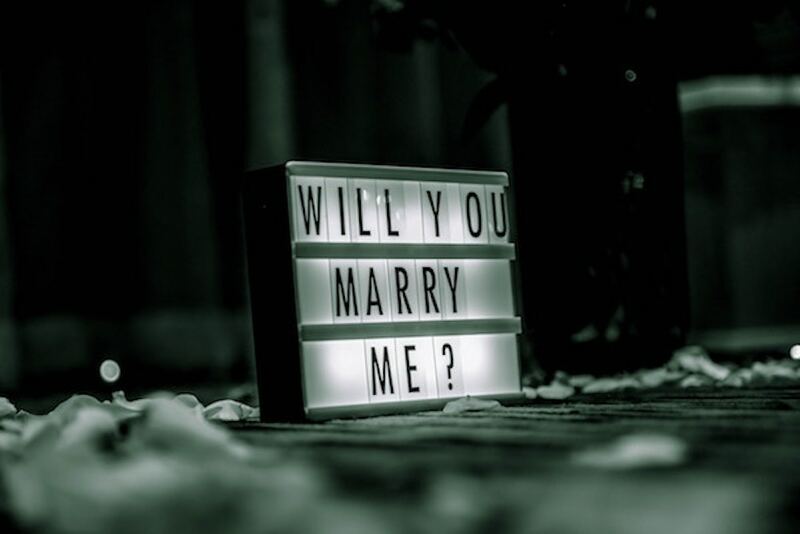 I can create a sentimental and romantic proposal from scratch or we can work together using your ideas to formulate a plan that exceeds your expectations, but either way you will end up with a proposal plan that will completely wow your future fiancé, giving you both a once in a lifetime set of memories with which to start your married life together. Proposing in itself can be very stressful but creating something unique, personal, romantic and memorable on your own adds a whole extra level of stresses and strains. I will work with you to remove this stress by offering creative solutions, adding some panache and that extra ‘je ne sais quoi’ to your proposal. Whether you are looking for some extra inspiration or you have great ideas but don’t know how to execute them I can take on those stresses and work behind the scenes to create the perfect romantic setting for you, offer original ideas and make the plans on your behalf so your other half doesn’t suspect a thing! Prices for this service start from £200. Once the nerve-racking part is over and your other half has officially said yes you need to celebrate! Whether you want a snazzy party at a swanky city centre venue or a soiree at home I can plan your party using my extensive local contacts to ensure you have the best party for your budget. For more details on my party planning service visit my Party Planning page. If you would like to know more about how I can help with planning your proposal or your engagement party just drop me an email and we can set up a phone call or a Skype.